Good bye razor burn, hello healthy, hair-free, hydrated skin! Now that you have rid your diet of chemically laden junk, it only makes sense that your skin care routine should follow suit. Our skin is our largest organ and absorbs everything that we put on it. Therefore, we should feed our skin as we would our gut and give it the nourishment it needs to look and feel it's best. With added Vitamin E and coconut oil, this DIY shaving cream will hydrate your skin and help fight off the ageing process. The healing power of Shea butter from its high concentration of fatty acids will protect your skin's natural oils and help repair any damage from blemishes, scars and burns. 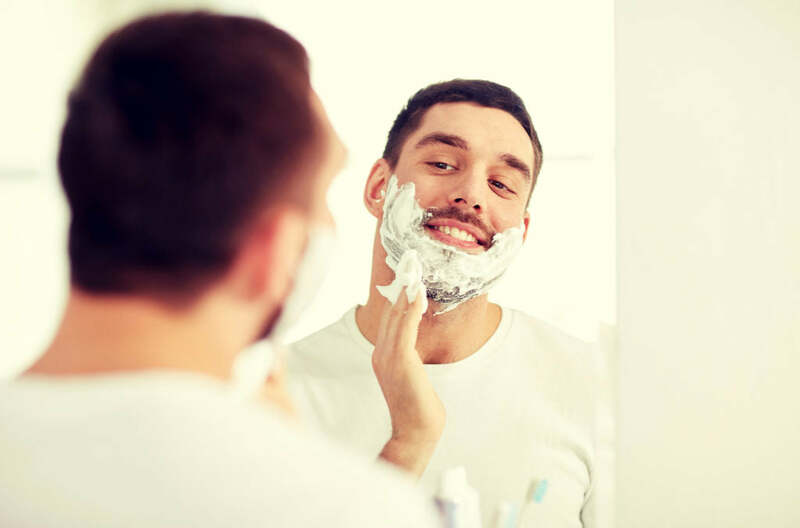 For the ultimate 'clean shave', the addition of sweet almond oil will help gently dislodge unwanted debris from deep with your pores and hair follicles, while the peppermint and orange essential oils will leave you feeling citrus fresh! Ingredients ⅔ cup Shea nut oil or Shea butter ⅔ cup organic coconut oil ¼ cup sweet almond oil 5 drops sweet orange essential oil 5 drops peppermint essential oil 2 tablespoons baking soda 4 drops vitamin E liquid Directions Pour 2 inches water into a small saucepan and bring to a simmer. Place a large glass bowl on top of the saucepan and add the Shea and coconut oils; stir until melted. Remove from heat and stir in the sweet almond oil, followed by the orange and peppermint essential oils. Place in refrigerator to solidify, about 20 to 30 minutes. Once the oil is firm, take it out of the refrigerator and leave to soften slightly on the counter before adding the baking soda and vitamin E capsules. Using an electric hand beater or stand mixer, whip until light and fluffy. Apply generously before shaving, and rinse thoroughly when done. Store in a cool, dark place for up to 1 month.